Become a true Hatteras Fisherman while living the good life in this one-of-a-kind canal front home. Dock your boat (up to 50 ft.) on site and spend your days exploring the Pamlico Sound, or take the free ferry to Ocracoke for a day trip of shopping and sight-seeing. Keep your vehicles and beach gear in the covered under-house area for easy access and dry entry into the ground level. A full bathroom and den with TV are also on this level. 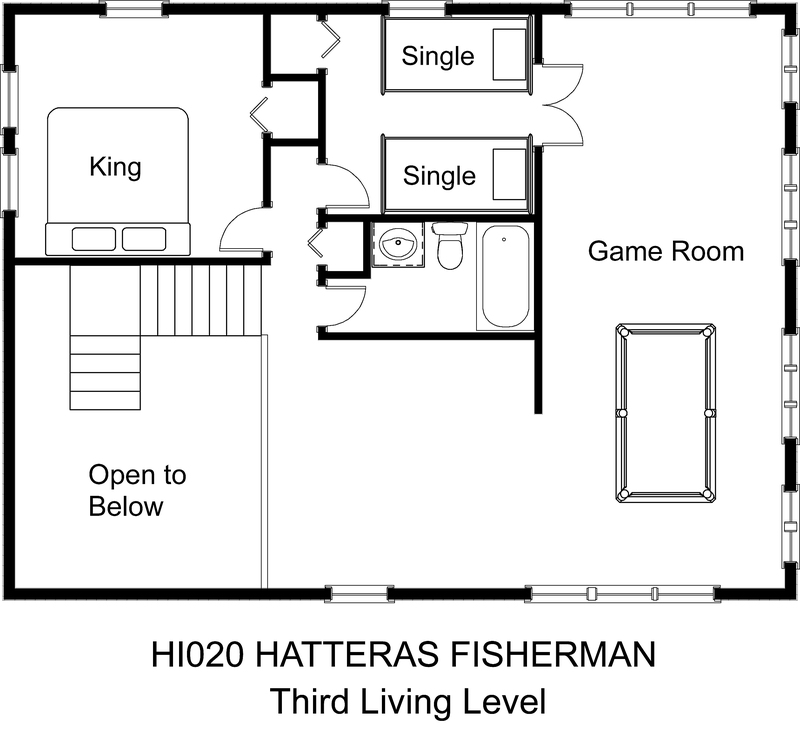 The second floor is the main living level of the home. The central kitchen features dual wall ovens, a breakfast bar, and a dining area. Two living areas, one with a cozy wood stove and the other with a TV, provide plenty of space to spread out or come together. Both open onto decks with panoramic views. 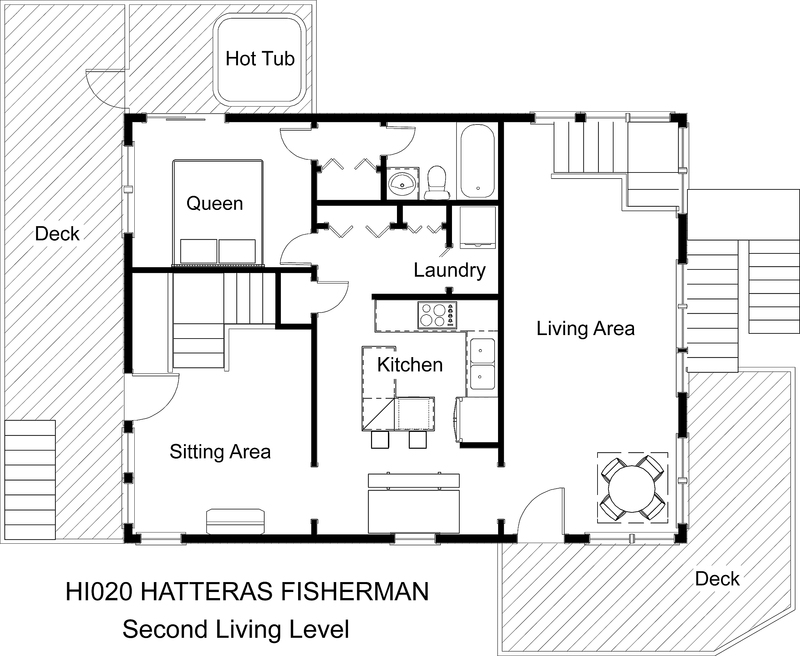 A queen master bedroom on this level opens to the screened porch, where the hot tub overlooks the sound and boat docks. The third level has two additional bedrooms with TVs, one with a king bed and the other with two single beds, which share a full bathroom off the hall. Kick back in the sitting area with with TV or shoot some pool in the game room with TV while watching the sunset over the sound. 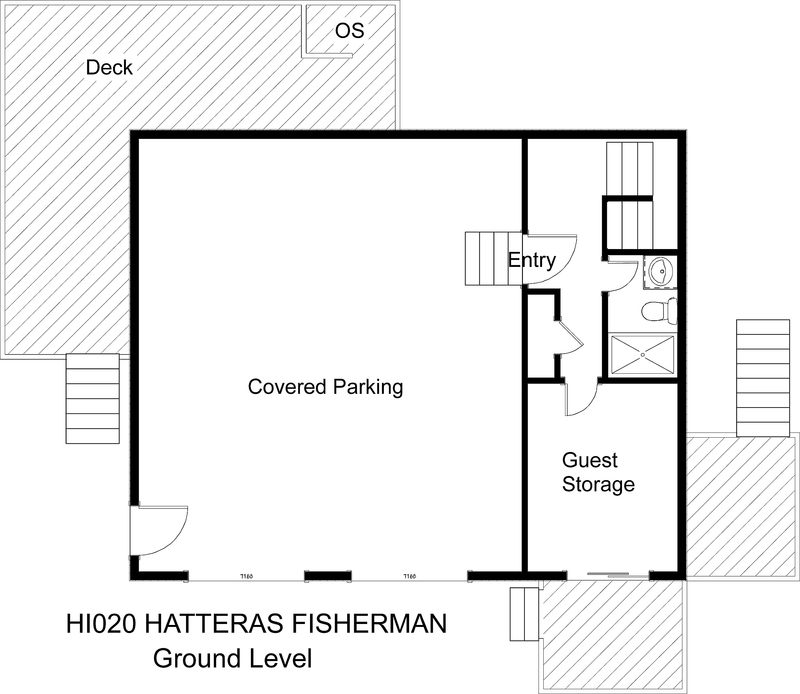 From the convenient location near restaurants, shopping, and commercial fishing from the nearby marina to the unique floor plan that gives everyone the space they need, Hatteras Fisherman is the vacation spot for you. We usually stay closer to the ferrys but this place was awesome. Perfect for all the family. This has been my husbands favorite because he could get out on his kayak super easy, its not a bad walk to go to the Village, he still got to fish, all the neighbors were super friendly. We loved it. My only issue was it was next to the commercial fishing property (house description did not state this, but I asked when I saw that in photos online) and the fishing ice machine was running the whole time - a little noisy, but certainly not unbearable.